As an avid Adobe illustrator user and tutor I have recently had a few people contact me wanting to know if they should consider learning illustrator. Graphic designers use different programs or software to generate their graphics. Most people agree that Adobe Illustrator ranks as one of the most popular vector graphic design software packages. However, popularity alone wouldn’t convince an aspiring graphic designer to select illustrator as their preferred software package. Below are some top reasons why you should consider learning illustrator especially if you are into web design, logo design or any other profession which calls for creating graphics from scratch. One of the things a graphics specialist wants to do when designing an advert or poster is freely express an idea which connects with their targeted audience. Illustrator allows you to create your designs from scratch which implies that you can create virtually anything as long as you have the skill and knowledge. Illustrator is a vector graphic editor which implies that one can easily use it to do their art work which places the programs among the best in logo design. The pen tool allows you to create shapes while the isolated background feature enhances your work. You should however note that logo design requires adept skill and therefore obliges to go through viable illustrator training if they wish to create captivating logos. Illustrator has a powerful grid system which allows you to draw attractive icons using different shapes which are fitted into the grid. After arranging the shapes, it is relatively easy to color them using tools made available in Illustrator. If you are in the process of developing a website, software package or anything else which requires icons for navigation, you will certainly need to familiarize with adobe illustrator. As the name suggests, infographics are used to represent information on a graphical chart. In most cases, they are used on newspapers and magazines to support the content written in text. Of late, internet marketers now use infographics to capture the attention of their audience on blogs and informational pages on their websites. With illustrator, you can either choose to create an infographic from scratch or you can use the programs templates and create equally appealing charts by just entering data. Remember, how good your info graphic looks depends on your skills which gives another reason why it would it would be worthwhile to take an illustrator course. With Adobe Illustrator, you realize that you can draw actual maps using the pen and line tool. At first it might prove difficult to use the pen tool but as time advances and with more practice, it becomes easier as you perfect on accuracy. Always bear in mind that graphic design can be a well paid profession. As a budding graphic designer or web developer, agencies and companies are looking for people with a wide range of skills. You need to develop these to become more marketable. This will probably make you appreciate the importance of learning Adobe illustrator or enrolling on an Adobe Illustrator course that will help you acquire the necessary skills.. This entry was posted in General Musings, Web and Graphic Design Training and tagged adobe illustrator, adobe illustrator course, adobe illustrator training, learn adobe illustrator on June 15, 2013 by Jsade Stephenson. Adobe Illustrator is a leading vector image editing application, made even better because of its plug-in platform, which allows illustrators to customize the program according to their needs. Currently there are plug-ins that fit almost any requirement you might have. The following are 10 very popular plug-ins used by graphic designers. 1. Art Files made for Mac – This is a collection of files that makes keeping track of documents, linked images and fonts easy, allowing users to “Point and Click” to select objects. This plug-in supports Illustrator versions 8, 9 and 10 for Mac computers. 2. Artlandia LivePresets -This plug-in works for both Mac and Windows users. It allows you to insert patterns and symbols that can be edited. Any artwork you link updates interactively. 3. FlexoStepX – This is a quicker way of repeating the steps and fixing mistakes in label packaging artwork. FoldUP! 3D - Making dimensional design in Illustrator a whole lot easier! isometric objects placed over an adjustable background grid. 5. FoldUP! 3D– This plug-in allows an illustrator to test packaging designs digitally, eliminating the need to create a 3 dimensional test prototype. 6. Live Pen – Gives you interesting typography and calligraphy options. This plugin is only available for Illustrator CS, CS2 and CS3. 7. LogoSource -This is a collection of tracing and guide tools that help you edit scanned images. 8. Vector Scribe-This tool helps you create and edit curve handles. It improves on illustrators measuring abilities. 9. Path Styler Pro – This plug-in uses paths to make beleveled images that don’t need to be softened. 10. Virtual Mirror Vector Studio – These are 8 tools that include shape editing, texturing, and color editing abilities. So we’ve had a look at a good number of popular plugins used by designers working with Adobe Illustrator. Most importantly though its essential to learn the various Illustrator features & how they work. 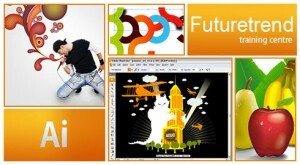 Futuretrend’s Adobe Illustrator training courses provides a good option to help you get started in your quest. Just like you have to learn how to change gears, push on the gas pedal, control the steering, switch on the AC & the fan, etc. in a car, you have to invest some time in learning how features work in Illustrator works before you start experimenting with plugins that can add some serious 00mph! to your work. This entry was posted in General Musings, Web and Graphic Design Training and tagged adobe illustrator, illustrator plugins, illustrator shareware on January 20, 2012 by Jennifer Moore.